What happens when you send an email to your clients as part of your email marketing campaign? What is their next action when they see your email? Do they just delete it without opening it? Do you know your click-through rates (CTR)? What about your click-to-open rates (CTOR)? Surely, you never start an email marketing campaign with an intention to fail, but it happens more often than not. One thing you have to focus on is to cleverly write your marketing emails copy so that you make your clients want to open your emails and interest them in what you have to offer and say to them. 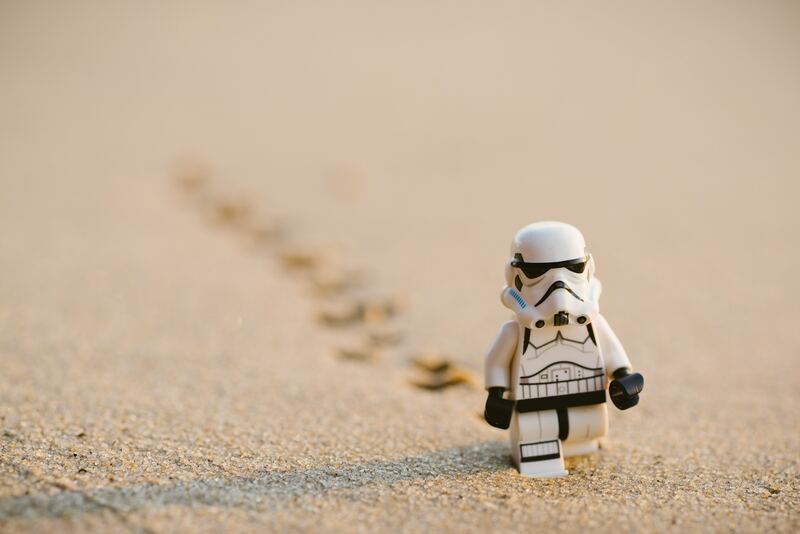 The best tactics in lead generation is to attract readers’ curiosity by taking care of their time and, at the same time, offer them something insightful and informative. Sad reality is, most people will definitely and immediately delete your marketing emails. Question is – why would people delete your emails without even opening them? 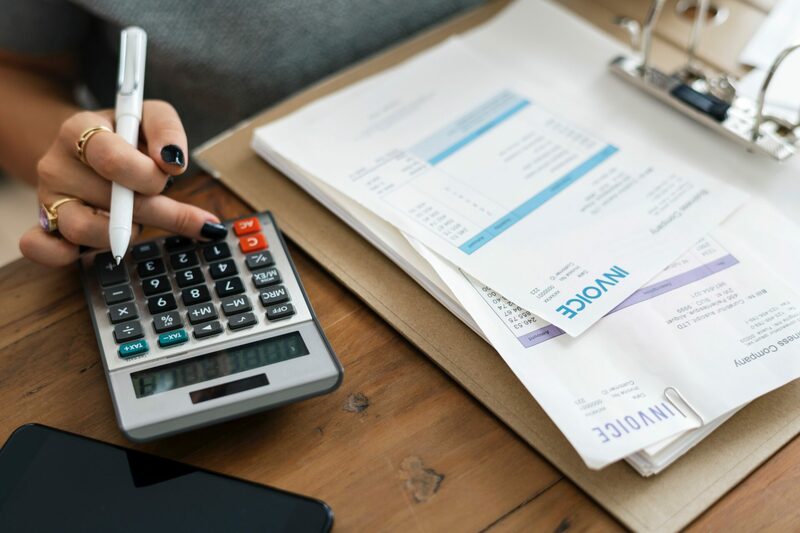 Let’s focus on some of the most important things that make for great CTORs percentage and, ultimately, potential leads converted into customers. The first thing that a client sees when they receive an email is the subject of the email. Nailing the subject line should steal your client’s attention. It must be interesting and intriguing and awaken recipient’s interest in wanting to open the email. –Use actionable language. This does not always mean that you should rely on verbs, although using verbs in the subject of your email is always helpful. For example, you can use action verbs such as: buy, get, download, take, etc., so the reader knows what they can do or expect in the email. On the other hand, using actionable language without relying on the verbs gives you more space for word play, which makes it clear to the reader what they can do with the information in the email, should they decide to open it. –Use personalized subject line. You should do this whenever possible. 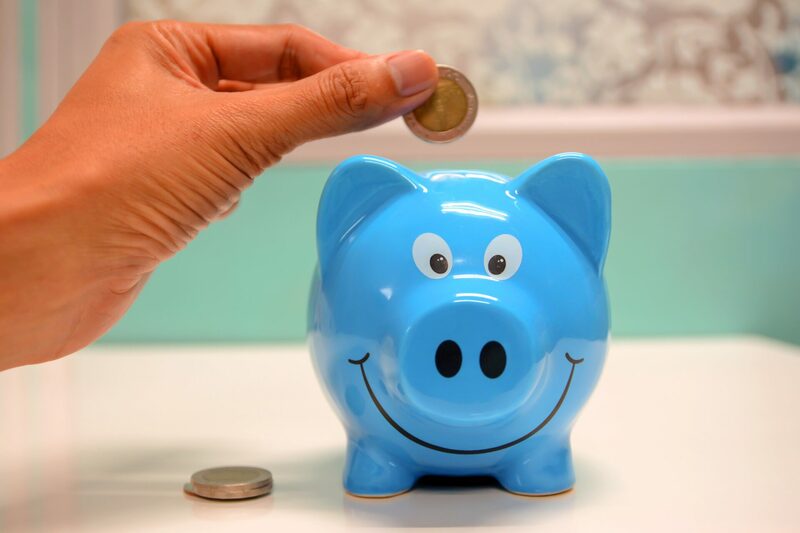 If your email list is more segmented, you will be more able to personalize the subject and provide more relevant content to that email recipient. -Align the subject line with your whole email. The readers should get what they are promised in the subject. This is a very responsible thing to do and, if this is not the case, than your click-through rates will drastically fall and so will your email open rates. BuzzFeed is a great example. They always have amazing subject lines and preview text. Their subject lines are short ant effective and fit perfectly with the rest of their content. Another very important element in your email marketing campaign is your subscriber list. Make sure your subscriber list is continuously increasing. Putting a sign-up feature on your website can significantly help you with this. Your home page or blog page should contain a subscription form but try to separate it from the main content. 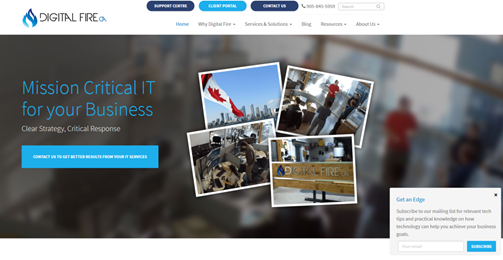 An excellent example for this is Digital Fire’s home page where the sign-in box hovers over the page and follows you as you scroll. It is not annoying and it simply explains the value of subscribing to their email list. Going deeper into the structure of the used language, write emails in the second person. By writing this way, use pronouns such as you, your and yours which put emphasis on the reader, not yourself i.e. your brand. 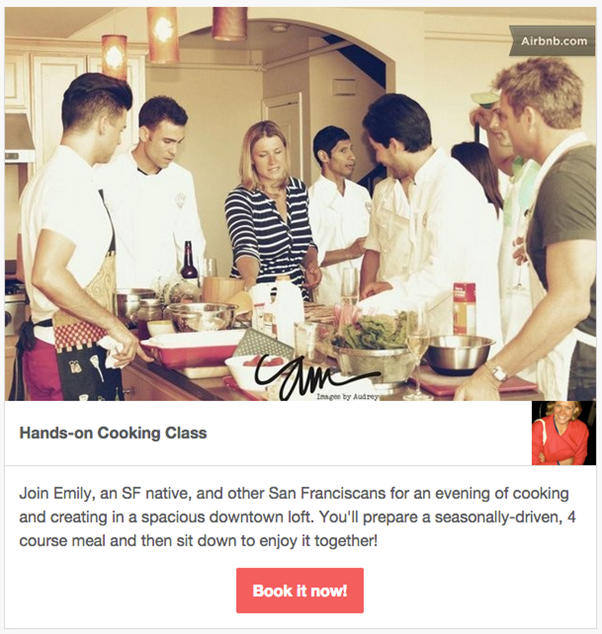 Personalizing your approach makes your audience feel at home. 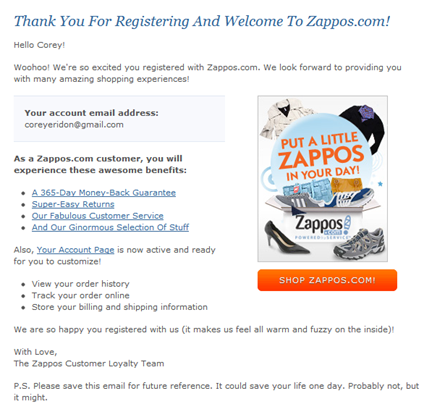 If you take a look at the email from Zappos below, you will notice that you and your appear 12 times. On the other hand, words like we, our and we’re appear only 5 times. 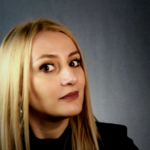 This way, the focus is kept on the customer and helps you stay value-oriented. When you write your marketing campaign email, talk about the benefits, not the features. You must get your client acquainted with the value of your email. Therefore, explain the benefit of what you are offering, not the features. Keep it brief and simple. Do not try to include your entire story in your email. Not everyone reads all the words contained in an email copy. Include only the important points. 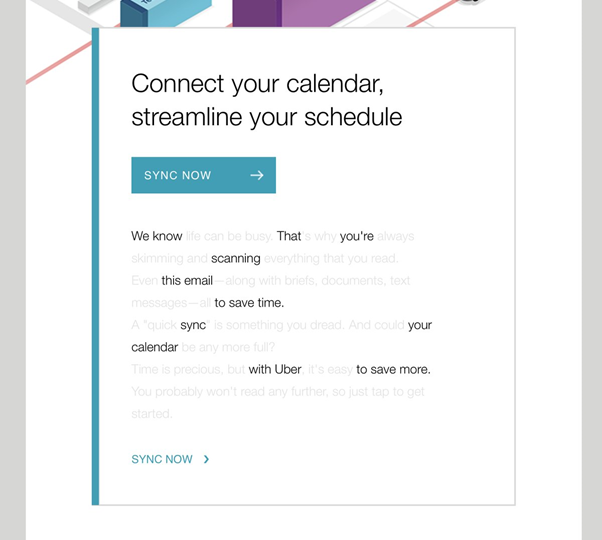 Uber’s emails are an example of simplicity. Their subscribers are informed on promotions and deals with emails like the one below. The initial description is brief with a clear call-to-action, and it is perfect for people who are quickly browsing the email. Include bullet points so the readers can identify the important points. Also, including pictures and cartoons to illustrate your message is another good idea. 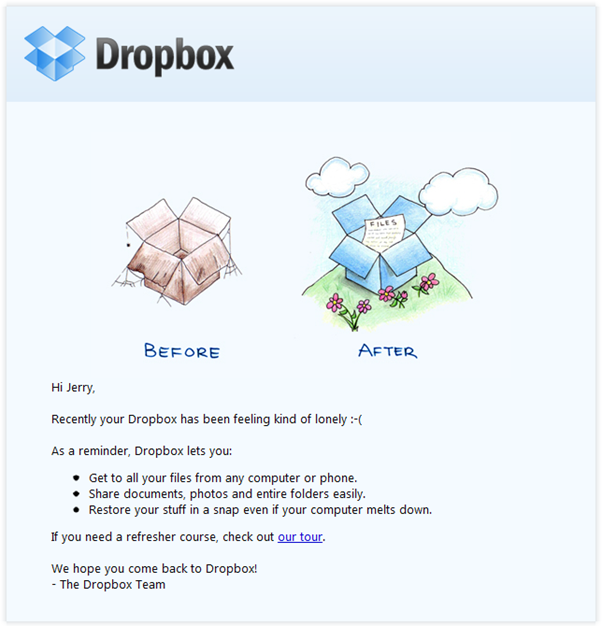 Thanks to a pair of whimsical cartoons and an emoticon, Dropbox made its “come back to us!” email cute and funny. The email was short and emphasized the message reminding the reader that the brand still exists. Being polite never gets out of fashion. Your marketing emails should not only inform, they should also make the readers feel good and want open your next email. Having a solid relationship with your readers will very likely guarantee further cooperation and success with your email marketing campaign. In the example below, Death to Stock sent an email to the clients in order to apologize for a certain email they had sent before where they promoted a product that was sold out very quickly, it could not be shipped internationally and many of the customers had bad experience. You can see that they are using a pleasant and concise language, apologize for the mistake, accept the responsibility, say that they have learned from the mistake and that they will try not to repeat it again. Composed in this way, their email is optimized for the large number of recipients. Notice the one-sentence paragraphs and bold text. This makes the reader follow the text more easily. The phrase “Give us a wavvveeee” adds personality and humanizes the brand. If your goal is to have as many clicks as possible, then you should make your emails mobile friendly. Optimize your emails for viewing on mobile phones and tablets. Now that you have finished writing your email marketing campaign, don’t send emails immediately without making sure it’s working properly. Always double-check your messages and see if they look the way you want them to look before you send them. There are several tools where you can test your emails, such as: Outlook.com and Litmus. The second is a tool that provides more robust testing and screenshots of your email in various email tools. Do not risk sending your emails without double checking the content. You may look unprofessional. 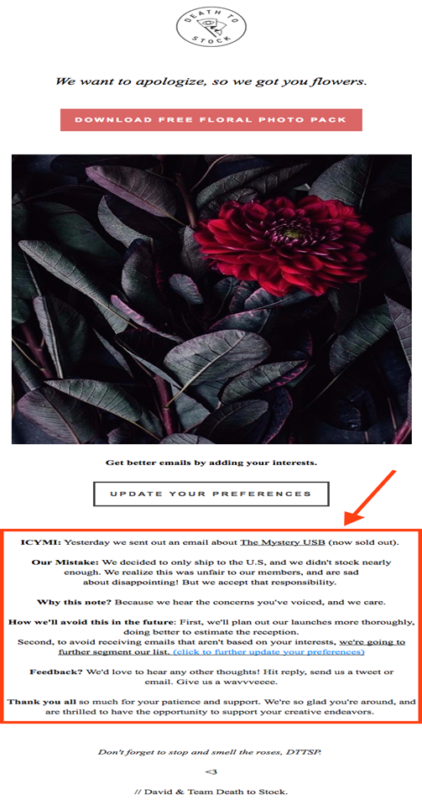 Of course some subscribers will want to unsubscribe from your email list. Make the unsubscribe option an easy one. Otherwise, if the subscriber can’t remove their name from your email list easily, there is a chance they will flag your emails as spam which means problems for you in the future. 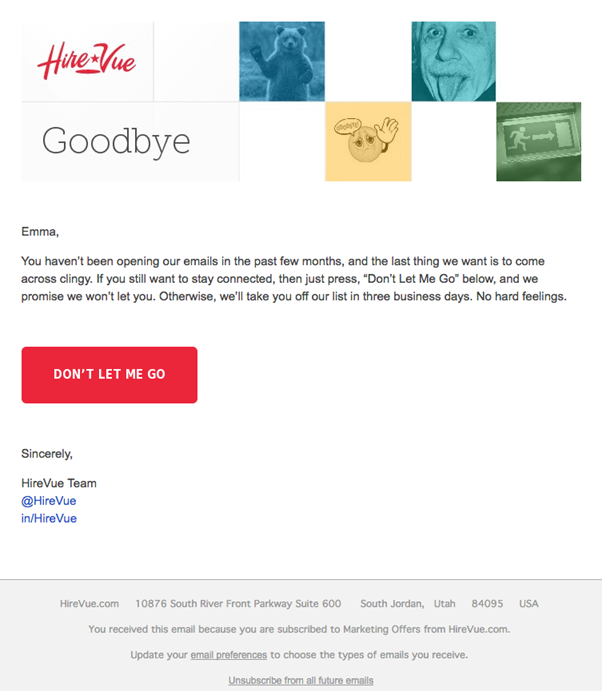 HireVue has an automated unsubscribe email subject that states “Saying goodbye is never easy to do… So, we thought we’d give you a chance to rethink things”. It is an excellent guilt-free message with funny images and a great call-to-action button. The design is brilliant. Considering all that has been said above, writing an effective email marketing campaign is not a simple process. It is a combination of good planning and analyzing data. There are many aspects that need to be taken into account, if you want to have a successful campaign. 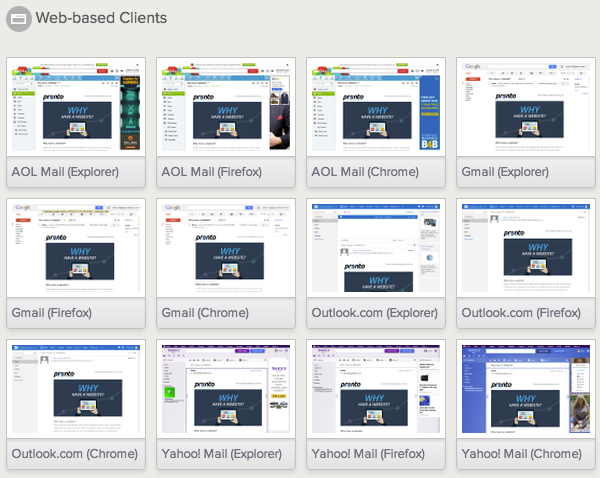 Remember to put the focus on the clients and build the entire email body on that. Be present, but don’t overwhelm your clients. The best way to learn is by trial, error and repeating. Eventually your efforts will be awarded with more clients coming your way.